It’s my girl’s birthday. Commence the partying! A week or so ago, I asked her what she wanted for her birthday. I batted around a couple of things that she’s enjoyed before. Magazine subscription. Shoes. Clothes. Nothing was resonating with her. Well okay, technically the shrug was in my mind because we were texting and on the phone, but yeah, pretty sure she shrugged. I have known her for nineteen years now. I told her that was okay. The words that came to me came instantly. I don’t know where those words came from but they just made sense. After all, in the past two, four years my girl has grown by leaps and bounds. She’s been forced to by life and death, and she’s made choices on her own that required a level of maturity that I can hardly fathom. And then there are moments that I realize she’s still my girl. When we laugh together over a memory or something that just happened. When she complains about my helicopter parenting or I turn my head so I don’t have to look in her room. When we sit and talk for hours or volley messages back and forth. She’s still my girl, and yet she’s so much more. It makes sense that she has a hard time figuring out her likes and dislikes and preferences and favorite things right now. She’s growing and changing, and it absolutely makes sense that as she changes, so might all of those things. 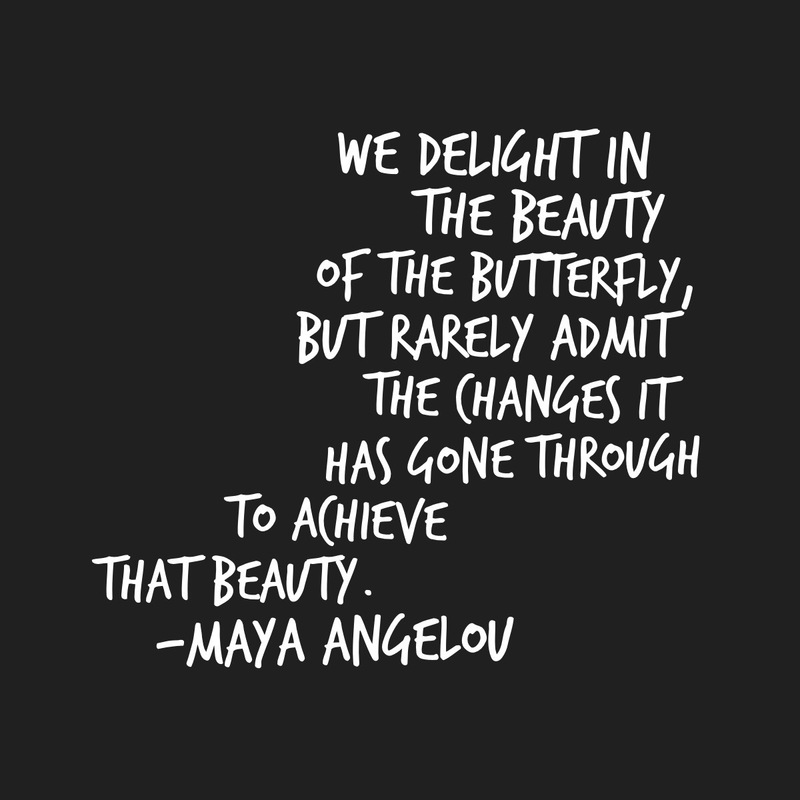 A sweet friend shared a quote tonight from Maya Angelou. That right there. My sweet girl, it’s okay that you don’t know what you want. That’s absolutely wonderful. You are growing, changing, transforming. From one beautiful creature to another. I am sure if you asked the caterpillar what she wants and then asked the butterfly, they would be quite different. The butterfly doesn’t need several pairs of shoes at one time and the caterpillar doesn’t need wing cleaner. But they are one and the same. Tonight I’m thankful for words that come into my head and show up on my Facebook feed just when I need them most. I’m thankful for growing and changing and beauty all around, as scary and hard as it might be to see when we’re in the middle of it. Here’s to my girl and all of those like her, those who are in the midst of transforming. I cannot wait to see what all of you beautiful people become next.